While this system has worked reasonably well for the last 200 years, the rapid pace of technology and those who exploit its weaknesses has made intellectual property more vulnerable than ever. There currently exists a contract between the U.S. and Chinese governments (the latter an ever-present threat to U.S. IP). Ideally, this contract is supposed to stanch the unauthorized and illegal flood of IP to China and minimize the billions of dollars lost to these sanctioned cyber security attacks. However, since the 2015 agreement, not much has changed. Chinese hackers continue to target corporate IP, stealing secrets and pricing data from the United States Steel Corp and wriggling their way into remotely controlling a Tesla Model S. It appears that the problem with China is not going away. This article is not intended to get into U.S.-China cybersecurity relations, but to make business owners and corporate leadership aware of just how much of a problem IP theft in the digital age has become. Keep reading and you’ll learn the basics of intellectual property as well as the law that protects it and what companies can do to fight back against those who seek to harm. Are You Concerned About Your Intellectual Property? Get our FREE guide and infographic with insight into solutions you can use to protect the intellectual property of your business from malware, hackers and internal threats. First, let’s explain what intellectual property is. Intellectual property has been described as “creativity of the mind” which, in layman’s terms, means ideas, inventions, formulas, methods, manufacturing procedures and any other idea specific to a creator or company that is used for commercial purposes. In order to protect these items, we have intellectual property law. The four main branches of intellectual property law are trade secrets, copyrights, patents and trademarks. Let’s break each of these down into their descriptions, what they cover and what legal intellectual property protection avenues exist. You may be drinking one of the most famous trade secrets right now — a Coke. The formula for Coca-Cola is heavily guarded; legend says only 3-4 executives know it at a time and they all fly separately. In reality, it’s more likely several key people know the recipe or we wouldn’t all be able to drink a Coke whenever we wanted. 2. and is the subject of efforts that are reasonable under the circumstances to maintain its secrecy. 2. a company must do its best to protect the trade secret. Trade secrets (and all IP) must be protected to the best ability of the company or individual and when threatened, must be defended or it will be lost. In addition to recipes, trade secrets can also be drug formulas, manufacturing methods or even an algorithm. The process that goes into creating The New York Times Bestseller List is even a trade secret. Trade secrets are very valuable to companies, not just for the trade secret itself, but for everything that accompanies it, which we will get into later. Trade secrets were not covered by federal law until recently, but have historically been overseen by state legislation and are protected upon registration. 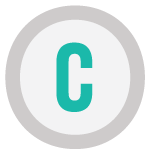 A copyright is the one legal protection that is immediately bestowed upon the creator once their work is in a tangible form. An artist’s canvas, a writer’s novel, a videographer’s film, even derivative works — these are all protected by copyright law. While a copyright is automatically granted to these works, it is up to the creator to defend that work and the first step will be registering their copyright with the U.S. Copyright Office. If not registered, there is little-to-no legal recourse a creator can take to defend their work. The man, the myth, the legend, Samuel “Hey that’s mine” Hopkins. 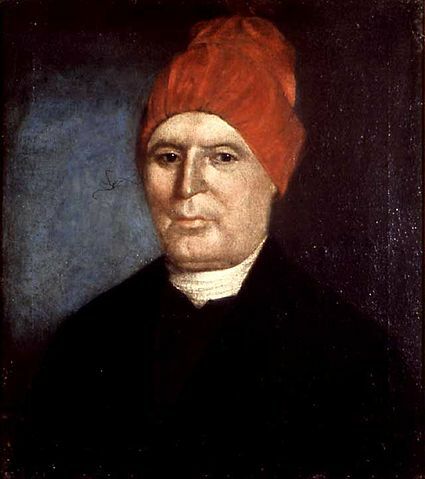 The first patent ever was filed in 1790 by a man named Samuel Hopkins. He was seeking patent protection for a process that he invented to make a fertilizer ingredient called potash. Since then, patents have been filed for everything you can think of, ear protectors that keep long-eared animals’ ears out of the way during mealtimes to a high-five machine. While they sound similar, patents are far different from trade secrets. First, a patent gives the right for the patent holder, and only the patent holder, to manufacture their product for a period of 20 years; after that, anyone can use the plans to create the product. Second, when patents are filed, they must include the inventor’s detailed plans and be made publicly accessible. This means other inventors can access the patent at any time, make improvements to it and release their own product. However, the process for filing a patent can be long, complicated and often require the help of a patent attorney. Patents are also very valuable. When Yahoo put up 3,000 patents for bid in the summer of 2016, they expected to net somewhere around $3 billion, with outside estimates expecting anywhere from $4 billion to $8 billion. You see trademarks every day, from the Nike Swoosh on your shoes or clothing to the colors of a college or professional football team’s uniform (See: Texas University, Pantone color #159). 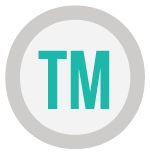 For something to become a trademark, it must be both used in commerce and it also must be distinctive. Once it’s accepted as a trademark, the owner has exclusive rights to it. A trademark protects more than just the symbol or image it’s made of. It protects the brand and the reputation of the owner or business, as well as the customers who trust the brand. LaCoste, a brand that’s been around for several decades, has had its share of branding troubles. In the 1980s, it was overshadowed by the Izod brand and took nearly a decade to recover before rising back in popularity to the high-end brand it is today. As well, it’s a brand that is forever being bombarded with copycat and lookalike brands trying to take a slice of its market. Lacoste does this because if they don’t defend their trademark, they can lose it. Wait, What Does Your Intellectual Property Look Like? You just got through a brief overview of intellectual property and while you may be familiar with these terms, you may not be as familiar with your own IP. How do you identify IP when it’s not so easy to spot as a recipe, logo or book? Let’s revisit Coca-Cola’s trade secret. The “medicinal” recipe (and possibly the 9 milligrams of cocaine in each glass) was what first attracted consumers to it. In the century since, the alleged recipe has been revealed several times (at least once in a 2011 episode of This American Life) and yet the majority of people aren’t running bathtub Coca-Cola-making operations in their homes. This is because, through branding and marketing efforts, Coke has built an incredibly brand-loyal customer base who are so attached to Coke won’t drink anything else, even when it’s purportedly better than Coke. These branding and marketing efforts are part of Coca-Cola’s protected intellectual property, even though they aren’t nearly as famous or legendary as the origin story of its eponymous soda. It’s that IP, constantly collected and reworked to build brand loyalty, that makes Coca-Cola so successful and profitable. If another company were to have that data on how to target Coca-Cola’s customer base, then they might be able to start chipping away at Coke’s market share. Your business may be more of a small-batch soda producer than a Coca-Cola, but it’s still important to identify the underlying IP of your product or methods. According to Vikas Bhatia, the founder and CEO of cybersecurity firm Kalki Consulting, many businesses are overlooking some of their most important data. “What’s more important, Google’s search code or Google’s search data?” says Bhatia. While many may think that Google’s trade secret, their algorithm, is the key to their success, it’s only a part of it. The algorithm itself is pretty well-known, but the user data and keyword-based advertising they sell alongside their search results is what made them $67.39 billion in 2015. He goes on to say that businesses need to think more critically about the information that drives their specific business and how to protect it. For instance, he says companies will protect their credit card data but they will be remiss in monitoring how a third-party vendor connects into their network. This is exactly what happened to Target, who suffered a major breach in 2013 because a small Pennsylvania-based heating and air conditioning firm they worked with had been infected with malware. Using credentials snagged in that breach, the hackers were able to access Target’s network. This is just a start to identifying your intellectual property. Since many hacks are opportunistic, it’s vital to identify all of your essential and important data before a breach happens, whether it’s in-house or with a cyber security consultant. A proactive approach to intellectual property protection now will very possibly keep your business from losing everything. Most successful companies understand the inherent and actual value of the IP they’ve identified. But there is another entity who values that IP for different reasons. Countries like the U.S. don’t just have IP laws to protect creators, but to protect that creativity and its market benefits. The theory goes that if the government stands behind these creators and their work, it will “encourage fair trading which would contribute to economic and social development,” says the World Intellectual Property Organization. According to a recent article in Forbes, the value of the IP in the United States is greater than the GDP of any other country, with the exception of China. Looking to the Intellectual Property Protection and the U.S. Economy: 2016 Update, there are 81 industries that are “IP-intensive” and these industries alone accounted for $29.7 million jobs in 2014, as well as $6.6 trillion in added value. Not to mention the $115.2 billion brought in from licensing alone. One is to give statutory expression to the moral and economic rights of creators in their creations and the rights of the public in access to those creations. What are these IP-intensive industries? They are industries that have a large amount of business or employment related to either patents, trademarks or copyrights. Trademark-intensive in are the largest under the IP umbrella and provide 23.7 million jobs. These industries add to the GDP of the U.S. by providing a large portion of the total imports and exports of the U.S. Pharmaceuticals and medicines export $54.5 billion in merchandise, while software publishers are the highest of the service-providing industries with $22.7 billion in exports. So, you get it — IP is valuable to more than just your company. And that’s what makes it even worse when it’s stolen. Whether Chinese hackers or negligent employees, read on to see how both are part of the IP theft problem. Spoiler alert: once your IP is stolen, it’s gone. This affects every business, but for those small-to-medium businesses that specialize in one product or area, IP theft can be devastating. What are the most common methods of IP theft? It’s likely impossible to count every instance of employee negligence contributing to data leaks and breaches, but it happens all of the time. As Bhatia sees it, there are two different types of internal threats. The first is unintentionally malicious, where employees are negligent. For instance, not thinking when clicking on links in emails that contain phishing attacks or sending spreadsheets containing sensitive financial data to their personal computer to do some work at home. “What that means is, I could be lazy. I don’t have the intent to bring harm to the organization, but the end result is malicious activity,” says Bhatia. Without proper training, employees may not even be aware they are engaging in Shadow IT or social engineering scams and putting the company at risk. The second threat can be malicious with intent. This can encompass employees downloading proprietary data to intentionally transfer it to a competitor, or business partners turning on each other by taking their IP and starting a new venture with it, cutting out the other partner. According to Bhatia, this happens, but less than unintentional malicious events occur. Another part of unintentionally malicious can be boiled down to ego. When Bhatia serves as a cybersecurity consultant for clients, his suggestions are often met with resistance. “There’s a certain defensiveness. No one knows their business like them, so, who [am I] to come in and tell [the company] about it?” He goes on to say that if certain teams are in charge of systems and data, they may be reluctant to admit they haven’t been doing everything they can to protect data. Lastly, we can all fall victim to Ostrich Syndrome. We can be so deeply under the spell of wishful thinking that we think data breaches and hacks will never happen to us, even though nothing has been done to prevent them. This is a major problem if you’re aiming for air tight intellectual property protection. International hacks are the hacks we often hear about in the news. They involve the hackers that are intentionally — whether government-ordained, criminal or just a handful individuals with a purpose — targeting the IP of corporations and businesses. By trying to understand why a hacker would target your IP, it may help you identify your intellectual property and its vulnerabilities. What is their motivation? What’s their endgame? Let’s break down some types of hackers and their motivations. We’ve discussed the hacker mentality in a previous blog post by Nick Espinosa. You can read the whole thing here, but below is a high-level version of why hackers do what they do. As the name suggests, these are “hacker activists.” They believe in social justice causes and they are able to pool together a large amount of individuals with shared beliefs to attack targets. These people are climbing the mountain because it’s there. While their intentions aren’t often malicious, they hack systems and networks simply to see if they can do it. This is a mercenary, typically found on the dark web. If you need someone with a particular set of skills, this is a place where you can find someone to execute your task for a price. They are motivated by money, with a lack of ethics that make them particularly dangerous. This type of hacker can be devastating to intellectual property, typically because they feel their employer (you) has wronged them in some real or imagined way. Because they know your policies and systems, they have a head start and a big chip on their shoulder. These groups execute hacks on behalf of a government entity for an array of reasons. This type of hacker can be especially dangerous from an intellectual property perspective, because they may be encouraged to access the IP of businesses in other countries. These are only a handful of the categories of hackers, but knowing their motivations can get you a step ahead in protecting your IP. Now that we’ve covered some types of hackers, let’s talk about what can be done once your intellectual property has been exposed to an outside party. If you have taken steps to enhance intellectual property protection, like registering copyrights, creating confidentiality documents and policies around trade secrets and securing your IP to the best of your ability, you have a better chance at lessening a data breach or theft and the damages that could follow. What can be done, Verna advises, is to seek punishment internally in the form of monetary damages for those who have intentionally or unintentionally let business secrets out. Fortunately or unfortunately, investors can also sue — if a business doesn’t do everything they can to fortify intellectual property protections, they are not operating in the best interest of the business and the investor can sue to get their investment back, plus damages. These types of punishment will be civil, not criminal, meaning you can’t exactly send the former or current employee to prison for their wrongdoing. “Whether somebody hacks your network and steals your trade secrets or is an employee who steals trade secrets, there’s not much of a civil difference there,” says Verna. If you need to prosecute a trade secret theft from a criminal standpoint, a business will need to consult with the FBI. At that point, you’ll file a report with them and they will run with the case. However, that doesn’t guarantee justice. The best defense is a good offense, as the saying goes. A company who has been breached needs to have evidence of the breach. Many small businesses, says Verna, don’t hire IT vendors or have the capability or capacity to track the activity or access of their data. This is where built-in analytics tools that monitor files are helpful, because they provide auditing and activity reporting to help identify what happened. These tools can go beyond the username to the IP address, date, time and access location. To avoid being sued by investors or others, a business should try to do everything it can to fortify intellectual property says Verna. This includes safeguarding data and trade secrets with passwords, encryption and employee contracts. Additionally, if you do business across international borders, make sure your IP is registered within that country, which will make it easier to file a suit in that country. Now that we’ve briefly covered legal aspects of IP theft, let’s learn how to safeguard and build intellectual property protections from a technical perspective by keeping hackers out in the first place. Perimeter defense is one of the most important aspects of securing a network. In the most classic sense, the perimeter is the defender of the internal network against the rest of the Internet. This definition, as we shall see, is changing. Traditionally, the perimeter is protected by a firewall that filters all external traffic before it is allowed into the private network. More recently there have several advancements to firewall technology and how we view the perimeter of a network. 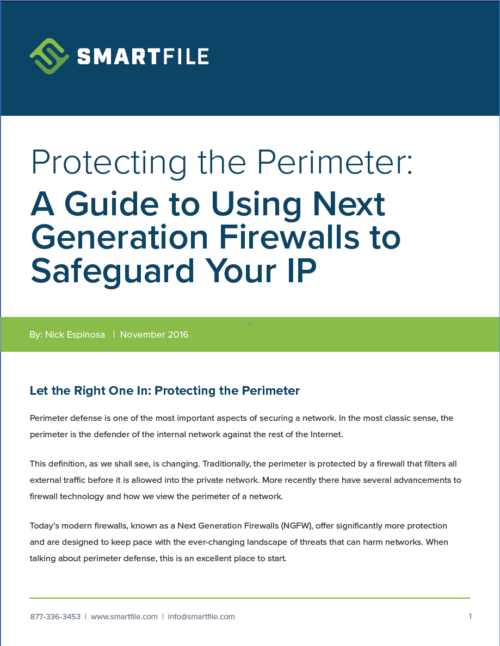 Today’s modern firewalls, known as a Next Generation Firewalls (NGFW), offer significantly more protection and are designed to keep pace with the ever-changing landscape of threats that can harm networks. When talking about perimeter defense, this is an excellent place to start. 1. Unified Threat Management (UTM). This is a blanket term for a firewall that gives the IT staff a quick overview of all threats and issues that the firewall detects and encompasses managing the technologies listed below. 2. Detection Antivirus. The best way to defend computers and servers on a network from infection is to stop the infection before it can even touch the systems. NGFWs will do this by attempting to detect and stop incoming viruses before they can enter the network, as well as scan outbound traffic to stop any infected computers from trying to phone home to the origin of the infection. Antivirus in an NGFW is incredibly more effective than a traditional antivirus scanner installed into a computer, providing the NGFW has all of the points listed here. 3. Zero Day Updating. This is essential to maintaining an up-to-date and secure perimeter defense. Zero Day basically means that the maker of the NGFW will detect a new infection in the Internet somewhere in the world, and within 24 hours will have written an inoculation for it. The inoculation will be pushed to the NGFW to keep it up-to-date on the latest and newest threats. The top-tier NGFWs have an average turnaround time of a few hours at most, well exceeding the Zero Day standard, and the best of the best is currently averaging around 11 minutes from detection to inoculation worldwide. 4. Intrusion Prevention System (IPS). In a nutshell, an IPS examines network traffic for patterns and flow to detect and prevent vulnerability exploits. Not all incoming threats are viral in nature. Some are looking to exploit weaknesses in the NGFW or other aspects of a system. A good IPS will detect these unique threats and shut them down. 5. Application Whitelisting. An NGFW with Application Whitelisting integration goes a very long way to preventing rogue or malicious applications from being used. The easiest way to explain Application Whitelisting is by example. Assume for a moment that the only three applications allowed to be used in a network are Microsoft Word, Adobe Acrobat and Microsoft Excel. An NGFW will see that traffic from these three applications are allowed and will let the traffic through while still scanning it for potential threats. If someone on the network tries to use PowerPoint, the NGFW will see that this is not an application that is allowed and simply block the traffic. This helps prevent unwanted programs from taking your IP. In this manner, if a person becomes infected, then that virus is seen as an application and because its traffic signature is not one of the three approved applications, the NGFW will simply shut down the traffic, thus not allowing the virus to phone home. 6. Sandboxing. As part of the analysis for Zero Day Updating, virus and IPS inoculations for new threats, the sandbox is very critical. It is the actual technology that allows the NGFW maker to detect new threats rapidly. Sandboxing can be done both on-premises and virtually. 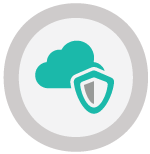 All NGFW, with a few notable exceptions, offer a cloud version that links directly to the firewall. How it works: a new, unknown threat is detected by the NGFW. Instead of the letting this unknown traffic into the network, the NGFW will stop the traffic and redirect it to the sandbox. The sandbox will then let the unknown traffic run as it normally would so it can analyze the behavior. If it’s determined to not be a threat, then the traffic can be rerouted back to the computer or server that made the original internet request. If it is determined to be a threat, the inoculation process begins and new antiviral definitions are created and pushed to the NGFW so it can more effectively block this kind of traffic in the future. 7. An Independent Management Plane. This is one many do not think about, but it’s very critical. Basic firewalls use the data plane to both manage the hardware and also route the live traffic. This works fine except when the firewall is under attack and the entire firewall’s processing power is consumed in fending off the attack. A good NGFW will have an independent management plane that is separate from the data plane. This way, if the NGFW comes under very heavy attack, the IT personnel can still log into the firewall without interruption to manage the attack live without losing connection. Not all NGFWs have this and it’s very important to know if the NGFW under consideration for purchase does indeed have this feature. All of the above is the most effective way to protect a traditional perimeter from Internet-based external threats. The proper equipment will proactively stop the latest kinds of attacks and threats and will vastly mitigate the surface area for attack of the network as a whole. Lately, the cybersecurity world has been taking a new approach to what we call the “perimeter” of a network. In the most classic sense, an example of a traditional perimeter would be 10 computers connected together on a local area network and protected from the Internet by a firewall. Everything on this local area network that is behind the firewall is automatically authenticated to talk to one another. Newer infections will not only infect the initial computer but also other computers within the authenticated perimeter. Therefore, a traditional perimeter does nothing to prevent internal outbreak of infection like ransomware or other malicious activity that threaten your IP. Historically, we’ve installed antivirus software or enabled user policies to help mitigate spreading infections within the perimeter, but as I’ve written about before, these traditional methods are very inadequate and leave many holes open in the defensive posture. To combat this growing issue, cybersecurity experts such as myself, are turning to the Zero Trust networking model developed by Forrester. In a fully implemented Zero Trust environment, each computer, server, printer, device and anything else that is on the local area network becomes its own perimeter at the infrastructure level. In other words, each computer’s traffic flows through an NGFW before it can do anything, including talk to other computers on the local area network. Because the NGFW is the best defense and antivirus money can buy, an infected computer on a local network has virtually little-to-no chance of spreading the infection to the other computers within the network. In this way, we have removed the defense of the computer on the network from inadequate antivirus software installed locally to its own high-end infrastructure defense. No computer trusts another computer and must validate itself before being able to communicate. This can help prevent hackers from stealing IP and other data because they won’t be allowed in. Companies that have implemented a perimeter-based on the Zero Trust model do not have to worry about intrusion or infection because the chances of infection, let alone outbreaks on the network, are so incredibly low. Anecdotally, every network I’ve seen with the Zero Trust model properly implemented has never had an infection. Not even a pop-up. Using a brand new type of firewall or changing the way your network is set up is important and will take some time to implement. If you are looking for a few things you can do immediately to combat intellectual property theft, check out the steps below, especially if you’re an SMB who can’t exactly afford to break the bank on security. Here are some ways you can decrease the risks of intellectual property theft without adding many new tools or procedures. 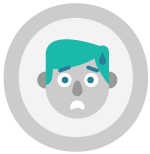 Use analytics tools to understand what typical usage looks like on your network so you can identify outlying behaviors and create alerts around this activity. When employees leave, make sure logins and access to all programs are removed. This can seem daunting to do every time someone leaves, but it’s important in preventing unwanted access. Don’t be afraid to consult an employee exit checklist to help you remember. According to cybersecurity book Easy Prey, 45% of employers don’t provide Internet safety training to their employees. Check out resources on common cybersecurity issues like social engineering attacks and ransomware to educate employees. Each department should not have a different security policy. Assign one person to oversee security policies and contracts. It could be HR, a CSO or CIO, as long as employees know where to turn for security policies and issues. When working from home, employees can get a little lax on security. Educate remote employees about what they can and cannot do from their home or makeshift on-the-road offices. Malware that can capture credentials or share intellectual property is easily downloaded. Create procedures to ensure that devices connected to the network are required to get explicit permission from the user or administrator to download or install. Whether it’s a company blog or a tiny dataset, if it has any value to your organization, it’s worth backing up and ensuring those backups work. In larger networks, it’s easy for users to slip through the cracks and have access to areas they shouldn’t. 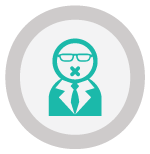 Granular and regularly updated user permissions go a long way in protecting data. Not all of these suggestions are technical, so they may be easier to implement by non-tech staff. 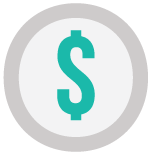 If you are concerned about the cost of the technical suggestions, don’t buy what you don’t need, but do make sure you choose tools that employees will use (i.e., something as close to their typical work routine as possible), but also ones that provide oversight of activity for IT. When you’re solely focused on technical, it may be easy to lose sight of how the users work with the product, a.k.a usability. A product that works on the technical side may seem perfect and secure from an IT perspective, but if employees find it slows down their work or is difficult to use, they’ll abandon it. In fact, a major cause of internal data leakage is simply an employee using a consumer-grade tool to get their job done more efficiently. This tool could be a Dropbox account or unencrypted email, neither of which have enterprise-level protections. Chances are, IT doesn’t know the technology is being used, so they can’t secure it against threats. 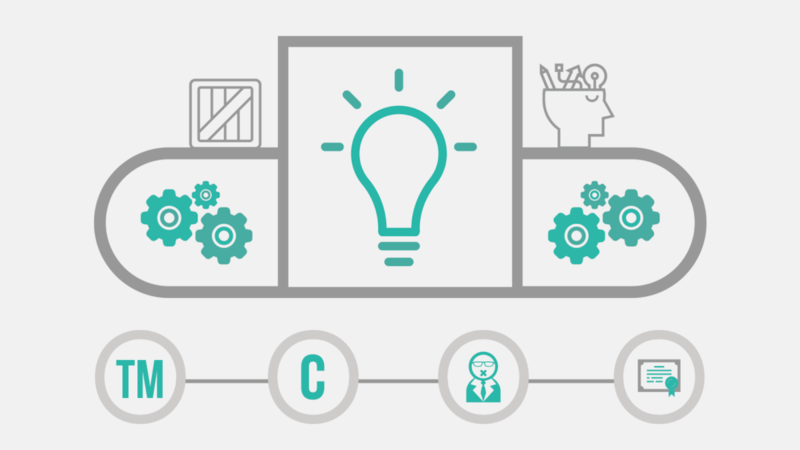 The tools your business uses to manage intellectual property need to be simple and fully functional from the employee perspective, as well as IT’s. These tools include everything from VPN access to simple file sharing methods. After securing your perimeter and integrating as many protections as you can for your intellectual property, try closing the internal leaks as well. One of the best ways to do this is to replace the tools employees use that allow for the most vulnerability — the methods of sharing files that contain IP and the storage that holds these files. Ideally, you’ll want to choose a tool that combines file sharing, storage and central tracking and analytics for the movement and activity of those files that contain information that has to do with trade secrets, research data or anything sensitive that’s also essential to a company’s success and profitability. There are tools out there that offer the all-in-one offerings of file sharing, storage and analytics, but when managing IP sharing and storage day-to-day, few of these tools will actually serve both IT control and visibility as well as employee usability. In an ironic twist, SmartFile was originally considered a Shadow IT tools. Not the tool that combats Shadow IT, but the unapproved tool that employees used to speed up their work and increase their productivity. After entire departments started using it and IT got wind of it, SmartFile went full circle and was adopted as both a productivity tool and a tool to combat Shadow IT. Eventually, SmartFile evolved into the complete file management tool entire organizations use today. Usability is bettered by the variety of access methods, allowing employees to connect and share however they want, whether it’s from the branded and responsive online portal, an FTP client, their native file explorer or custom-created API connections. Governance is bettered with administrative tools that monitor the flow of intellectual property between parties and allow for better permissions and access rules. The analytics tools include audit log information, activity tracking and user tracking. Have another tool for reporting? SmartFile offers syslog export, too. If IT prefers a more visual approach to dissecting data, the SmartStats interactive visual dashboard will help them better grasp outlying behavior and activity from users and files. Multiple layers of firewall technologies within the device itself protect the data inside. With on-prems, companies get complete control of the encryption keys. This ensures that only the people who have access can decrypt the code, helping to ensure intellectual property protection. Need even more options? 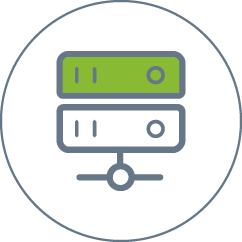 SmartFile can act as an enhanced cloud-enabled file server that sits behind your firewall or it can be a simple file hosting and sharing provider. How your business deploys it and uses it is up to you. Because SmartFile can work as an all-in-one, it delivers a great solution for organizations looking for the auditing, protection and day-to-day management of IP. Hackers will keep taking advantage of the intellectual property of U.S. businesses as long as we continue to allow them to exploit the vulnerabilities of our networks and systems. Businesses must do everything in their power to enhance intellectual property protection, especially from attacks that can weaken and diminish the creative contributions of the nation’s population. 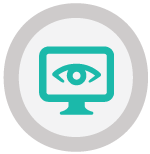 This includes securing the perimeter of your network and systems with modern firewalls that follow the Zero Trust Model; implementing security policies and confidentiality contracts with employees and making sure they understand the consequences of intentional or unintentional data breaches; and installing monitoring and tracking tools for your IP. Looking For Intellectual Property Protection? Your files are loaded with sensitive intellectual property that need to be protected and analyzed. 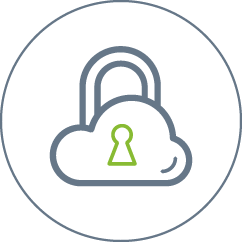 SmartFile can deliver a variety of solutions for intellectual property protection, whether you need just a safer way to transfer files or local file storage with remote access and audit capabilities. Your files are stored safely on SmartFile’s cloud servers for easy file sharing. FileHub™’s file management tool is currently in development, and it will identify and track your most important files. If you share or post this image on your site, please include attribution to SmartFile.com with this graphic. Thank you! Disclaimer: This blog is for information purposes only and is not the same as legal advice. Beautiful infographic and great content in this piece. Love seeing the amazing things the SmartFile team contributes to tech thought-leadership. 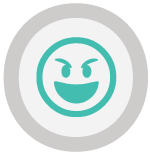 Previous Previous post: March Bracket Challenge: What’s The Scariest Thing Your Users Do?